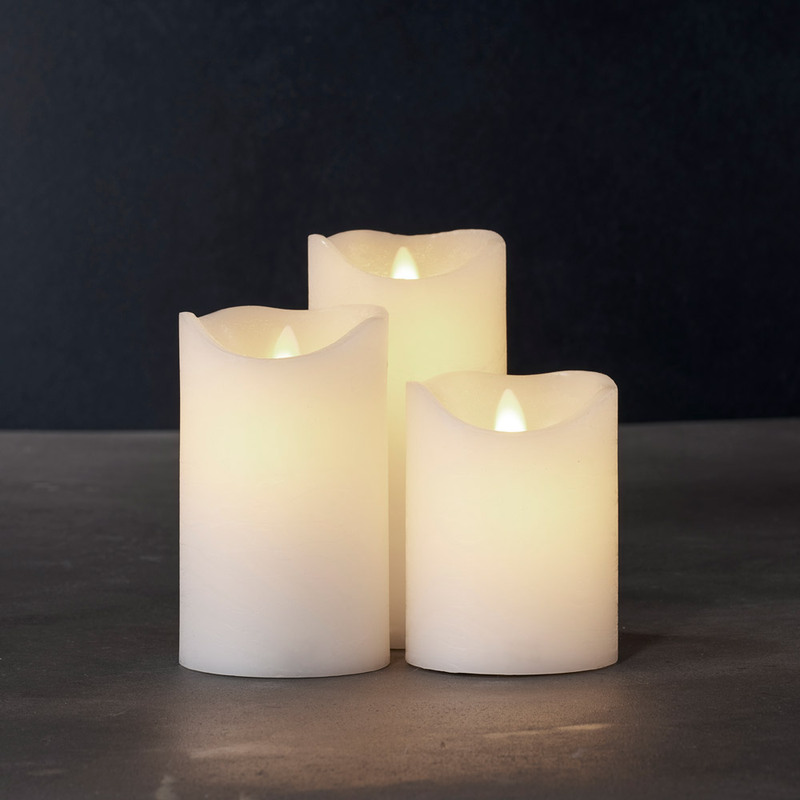 The Sara Exclusive Led Candles from Sirius is a set of 3 led candles with moving flames. A perfect gift for any occasion! They’re made out of real wax and can stand temperatures up to 30° C. They’re timeless, rustic and highly functional. Uses 3 x 2AA batteries. Batteries are not included. For indoor use only. There’s no damage on these candles, but on the bottom of one of the candles the lid of the battery holder is missing. The batteries stay into the candle, even without this lid.